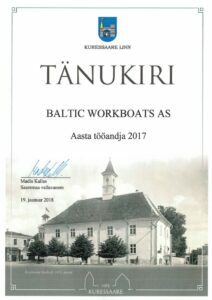 Baltic Workboats was awarded as Employer of the Year 2017. There are many career opportunities for the shipbuilding specialists. Registration is open for the colleges and Maritime Academy for shipbuilders profession. Welcome onboard!